When it comes to cigar smoking, cigar cutters are an essential tool. Cigar aficionados know that these are imperative! Cutters are implemented for quick and accurate cuts, which allow for a flawless draw. There are numerous types of cutters to choose from. There are guillotine cutters, V cutters and punchers (aka bullet cutters). The most popular cutters on the market are guillotine. They come in single blade or double blade options. The blade closes down on the end of the cigar which provides a precise cut and allows for a good draw. The guillotine allows you to control the precise placement of the cut on the cigar and to determine how large you want the actual opening to be. Punch, Bullet, or Bulls Eye is pushed into the head of the cigar making a hole at the end that you can draw upon. Punchers come in numerous diameter sizes. You have the ability to choose one with the accurate diameter for your stogie. 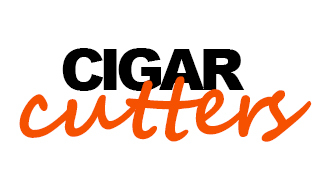 Please keep in mind: these cutters are not recommended for torpedo sized or small ring gauge cigars. Scissors are another great option. This will result in a cut with the same effect that a guillotine would provide. If you are looking to cut your cigar with a pair of scissors, please remember to use stainless steel scissors only. This will ensure that you avoid ruining your cigar with a bad cut. When using the scissors, carefully keep the blade aligned through the entire cut. Fit, balance, and sharpness play big roles when using scissors. V-cutters leave a deep V shape cut on the cap of the cigar. This allows for a supremely satisfying and enjoyable smoking experience. A V-cut allows for a larger surface area thereby providing an easy and smooth draw. This specific cutter works best on small ring gauges. When looking for V-cutters make sure to avoid the cheaper options since they do not provide a clean and precise cut. Make sure to sharpen these daily to keep them in the best condition. There is no clear answer when it comes to what type of cutter you should use. It really is a personal preference! If you enjoy a smaller opening, use a puncher! This would allow you to focus mainly on the flavors in the cigar. If you prefer an easy draw, a large opening would be the best option. Browse our cutter options and find the fit for you.